Embossed leather always adds a luxe look to handbags, and is totally appropriate in this Lucky Brand style. 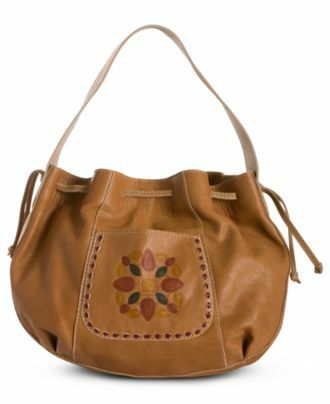 Lucky's Embossed Del Mar Drawstring Hobo bag is the perfect neutral shade for Fall with a bit of extra color and design thrown in. Grab this hobo from Macy's and try it here, with ViewTry!